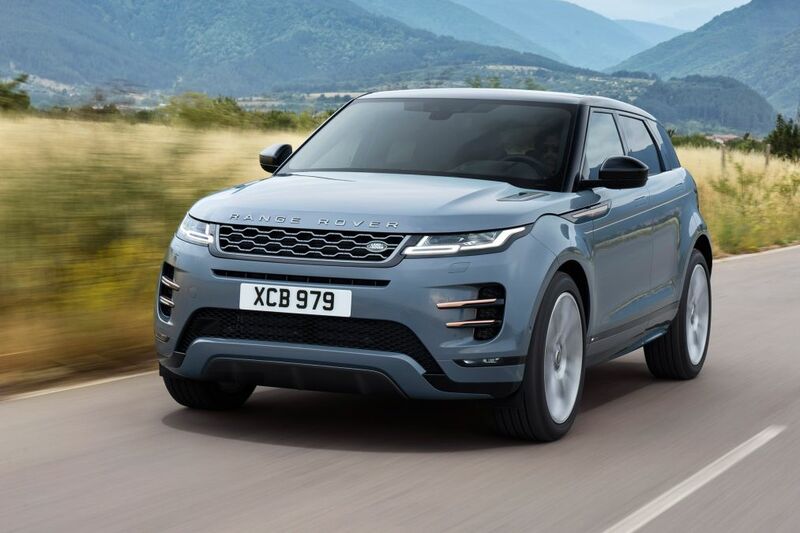 Range Rover have revealed the all-new 2019 Evoque, which has undergone a complete redesign. The new Evoque has benefited from a new chassis and interior, with a plug-in hybrid option coming in a years time. Whilst the overall design hasn’t strayed far from the current model, there are plenty of styling elements borrowed from the Velar. The wide rear lights and flush headlights are from the Velar, as well as the retractable door-handles. The interior is refreshed with a sleek dash that’s fitted with Land Rover’s Duo Touch pro system, which benefits from two 10-inch touch screens that incorporate Apple Carplay and Android Auto. The new Evoque will offer the familiar four-cylinder petrol and diesel ‘Ingenium’ engines, offering 148bhp from the entry-level diesel, to 296bhp from the 2-litre turbocharged petrol. All of these engines benefit from a mild hybrid system, which stores electrical energy to allow for low speed coasting and subtle assistance during acceleration. Similar to the current model, the range starts at £31,600, increasing to over £50,000 for a ‘First Edition’ P300 with all the range topping features. For a Finance Quote on a Range Rover, click here.